The program of Doctorate in Ibero-American Administrative Law Is an official interuniversity degree that seeks to train doctors in Latin American Public Law, with competencies to develop scientific and professional activities preferably related to Public Administrations. The Program on Ibero-American Administrative Law seeks to demonstrate the existence of a common law and common principles shared between Spain and Latin America. 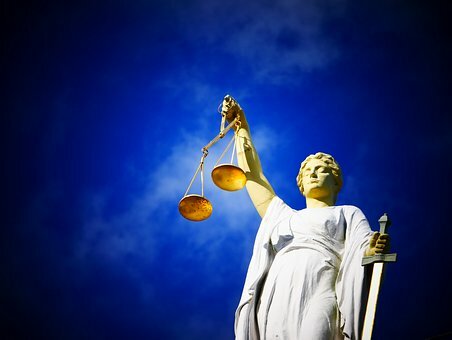 The comparative study of the legal systems corresponding to the universities and countries involved in the Program guarantees a knowledge of the basic institutions of public law in a wide territorial and legal framework, with the possibilities that this entails from the point of view of the occupation . Fundamental rights and public liberty. Human rights. In case the doctor does not have the complete previous training required in the program, his / her admission to the program may be conditioned to the surpassing of specific training complements, which may be subjects or modules of master and degree. The complements assigned to the same doctorate may not exceed 15 ECTS credits and may be made prior or simultaneous to the tuition in academic tuition in the program. In case of simultaneous realization the students will have to register for these complements at the moment of formalizing the tuition of academic tutelage in the program, which must be surpassed in the maximum term of three consecutive quarters. Failure to do so will result in student disqualification from the program. Courses and activities of instrumental and methodological training : aim to train students in methodologies and cross-cutting tools fundamental to the development of the Thesis Project: PhD introduction day; Individualized methodological follow-up workshop; Language training courses for research; Course on management of online sources and databases for legal research. Courses and complementary training activities, aimed at two objectives : firstly, fill the lack of training of students of the Doctorate Program (students can be instructed to undertake a bridge course, for example); Secondly, forge or reinforce the legal-administrative training of the doctoral candidate (through an Individualized Reading Plan for each doctoral candidate). Advanced training course in Ibero-American administrative law , which aims to provide the student with a high level of training (will be held annually in the Pazo de Mariñán, A Coruña, Spain, without prejudice to the CAPD being able to recognize the character of advanced training course to Some other high-level training offer). Research activities : in addition to the research activities of the doctoral thesis, the doctoral student must carry out research stays, presentations at specialized scientific congresses, elaboration of research articles, etc.